I gasped when I saw it. Isn’t it lovely??? It’s made of hardwood and in pretty good condition. I love the design in the back, and its subtle curves. I think it has so much personality. THANK YOU, LOLO AND LOLA FOR ALO’S CHAIR!!! Another photo in the Japan surplus store. We need to replace the stained leather seat of course, and I plan to remove the seat belt because Alo doesn’t need it. My folks dropped it off at home and when Alo tried it out, well, it was just perfect for him! It’s just the right height for our dining table, too, and with enough space on the seat for my wriggly little boy. We tested a bunch of high chairs but Alo is really too big for most of them – especially the ones with the non-detachable trays. He only really fits into a Stokke chair, but I still need to save up for it! I was considering a booster chair, or this Kaboost universal chair booster, which got good reviews online and even has one picture with our dining chair, so I knew it would fit. I was all set to order it – locally available in Milk and Honey – but then this lucky thrift find! Hurrah! (Although the Kaboost is sooo useful. And only Php 1,499 in Milk and Honey. The H wants to get one for when we eat out or visit the grannies). I have plans to refurbish our lovely vintage high chair, so stay tuned! 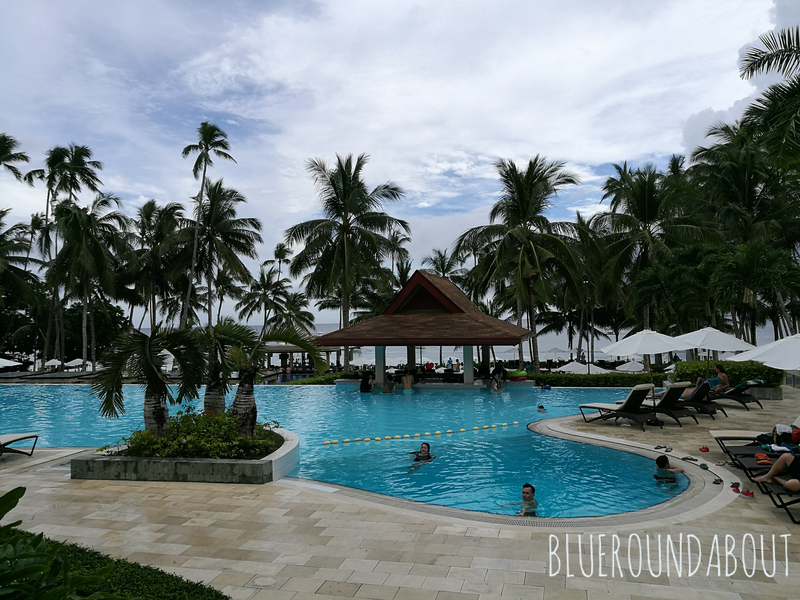 We’re currently in this awesome kid-paradise that is Henann in Bohol (at least 7 pools!). We’re taking a break from all house matters and enjoying the resort, the beach, and each other – not necessarily in that order! We hope you all have a lovely holiday as well! Well, I have a couch, a coffee table, a chair (and a pouf), a lamp, and a side table. In other words, the bare bones for my itty bitty living room are in place. But! (And there is always a but!) Clearly, there is still much to be done with my living room (or living “area” because I have an open floor layout downstairs). Starting with my curtains! I swear, they aren’t that dirty – it’s the blasted dirty white color. (Pramis. Defensive. Ehehe). 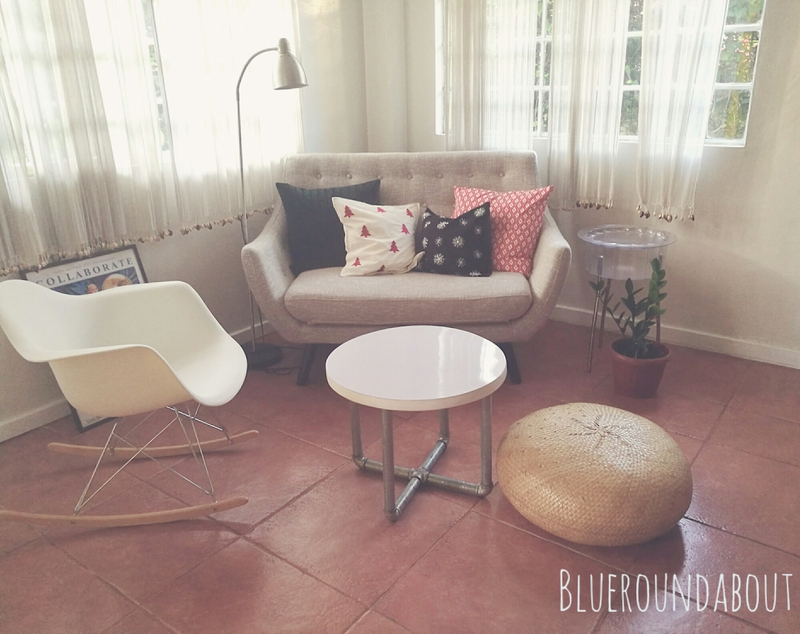 As I shared in my last post on our living room, I lived with just the couch and the coffee table fot a few months. The clear side table and rocker are the latest additions. I’ve been waiting for that white rocker for ages and Furniture Source finally restocked. I had that rocker reserved along with metal shelves, but I ended up picking up a few more pieces. All Ikea, of course. Sigh. Like a college student furnishing her first dorm; it is a “first” of sorts though because I never really got into decorating or furnishing my past homes, so the Ikea baptism of fire into the world of interiors seems quite fitting. Clearly I haven’t gotten around to decorating just yet as I want to focus on the bigger (i.e. more expensive) items. I also don’t want to buy whatever trinket just to fill up the space. I’m trying to buy only things that I really love. That’s the goal. I didn’t get around to decorating for Christmas. I had more enthusiasm for Halloween – shucks! Laz asked me about decorating but I admit I just don’t have the heart for it this year. I pointed out to Laz that we won’t be spending Christmas at home anyway – I promise to make up for it next year. 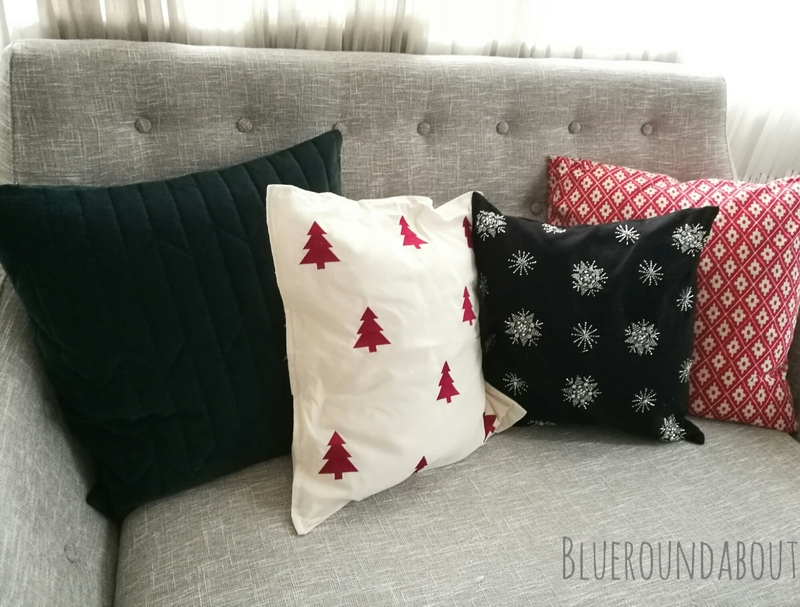 For now though, this is all I could muster for this season – Christmas on our couch.